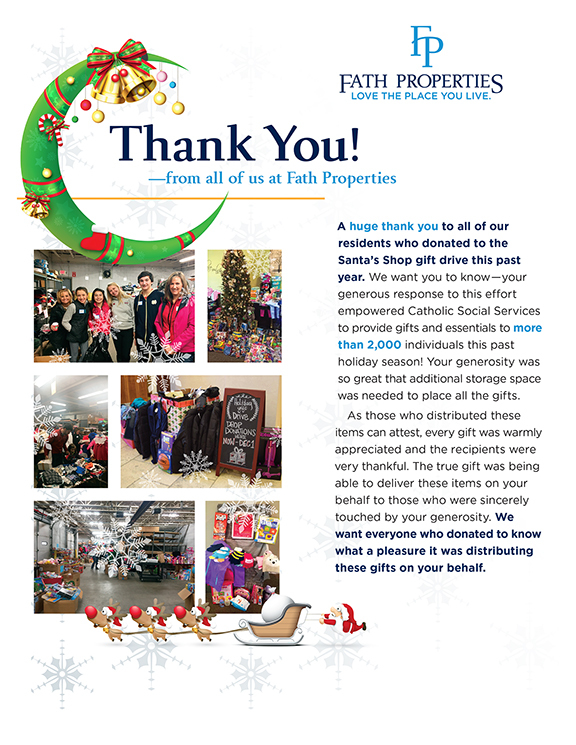 In the months of November and December, Fath Properties and its Ohio and Kentucky communities hosted a gift drive to benefit Catholic Social Services and their annual Santa’s Workshop campaign. 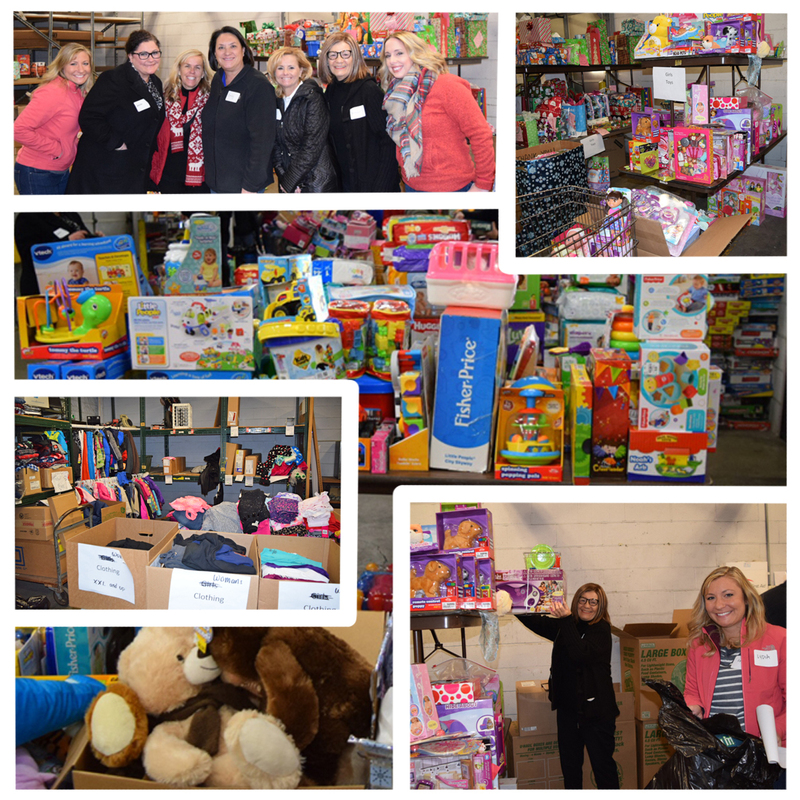 At the end of our drive, our communities, their residents and staff, were able to donate over 2,000 items to those in need this holiday season. Thank you to all those that participated. Without your help and generosity, none of this would have been possible. You have truly made a child’s holiday a bit brighter. Pictured below are some of the Fath associates that helped in the disbursement of the donations.